The Plaza Lunchbox, provides healthy food choices for busy families at reasonable prices. Plaza Lunchbox sources quality fresh produce from local business, and all funds go directly to the Parents and Friends Association to enhance the educational experience for our students. First break, or morning tea, is the longest mealtime and commences at 10.45am – through until 11.25am. Second break, or lunch, is the shorter mealtime, and this commences at 1.25pm through until 2.00pm. 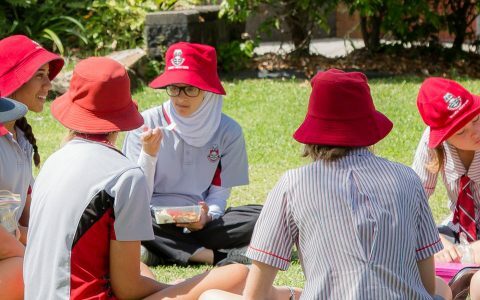 While the tuckshop sells food during both breaks over the counter, the School strongly encourages all students to pre-order their meals through Flexischools – a quick and convenient online ordering system. Please log in to www.flexischools.com.au and place your order before 8.00am each day for that day. You can also place orders for any day in advance. There is also more choices of meals on FlexiSchools than over the counter. The School cannot guarantee that every item on the Counter Menu will be available every day at the tuckshop.